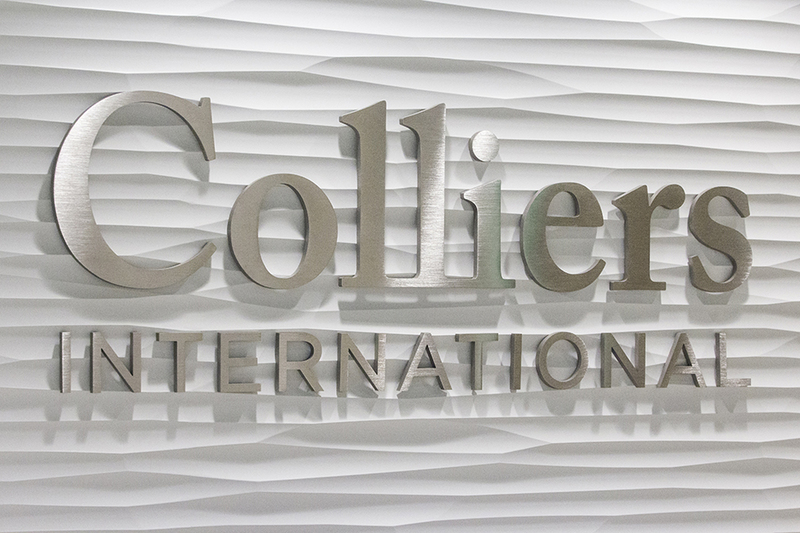 Colliers International is a leading global commercial and residential real estate services organization with offices in over 68 countries. 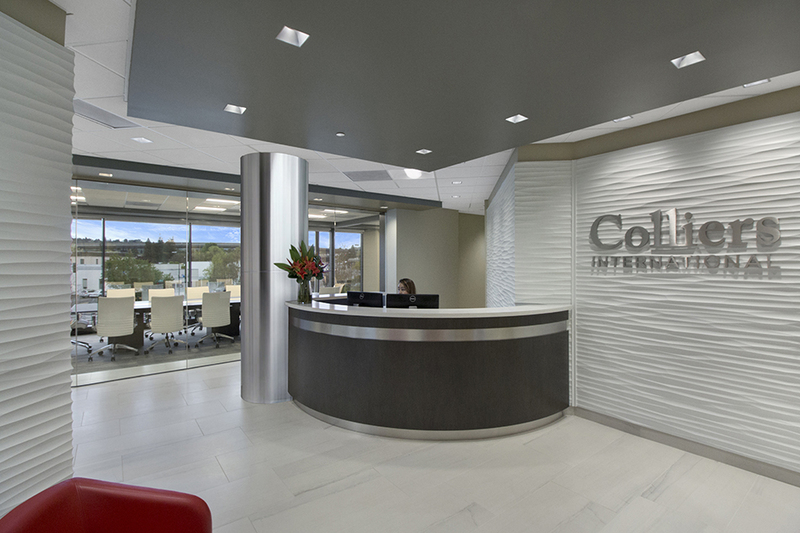 The Walnut Creek Colliers branch partnered with RBA to completely renovate and modernize their outdated space, which had not been updated in over 20 years. 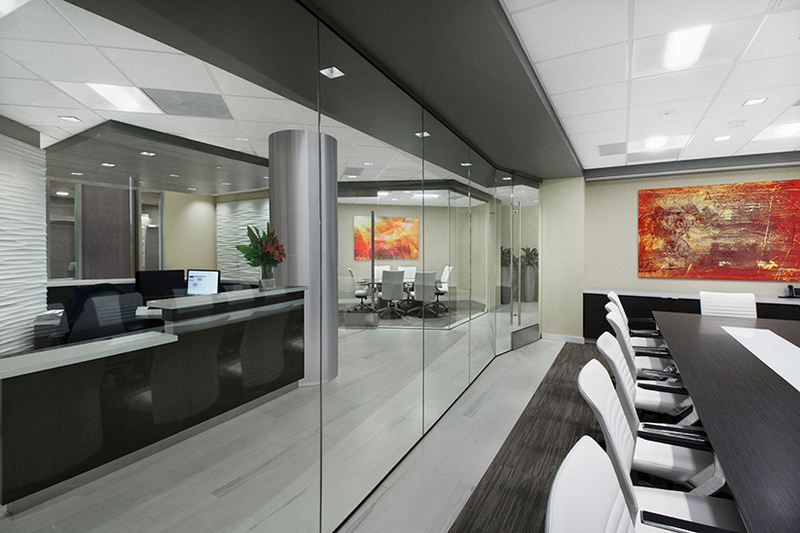 The client envisioned a lighter, brighter space with lots of natural light that conveyed a modern look. 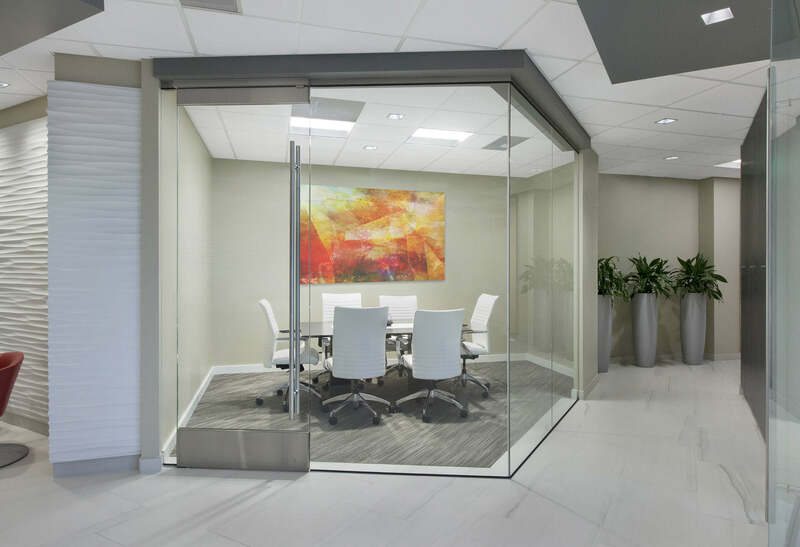 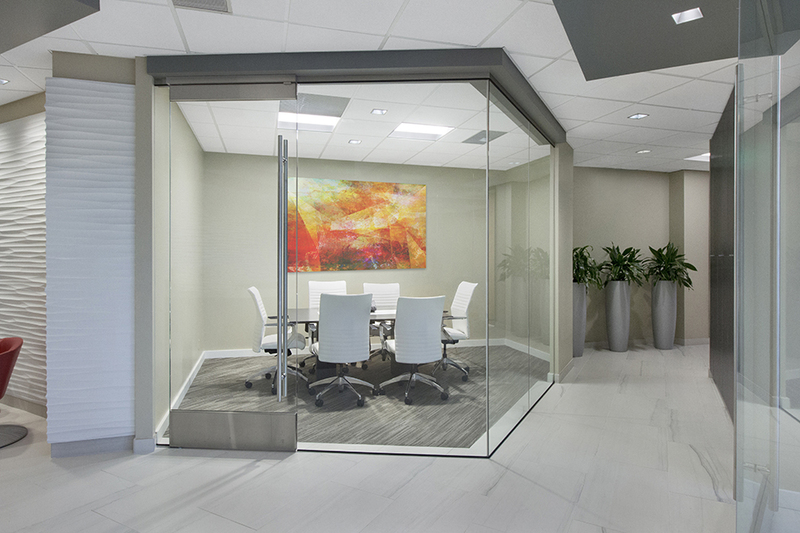 The remodel included the planning and design of the entire premises, including the lobby area with custom birds eye maple reception desk, offices, and board and conference rooms with a custom graphic moveable partition. 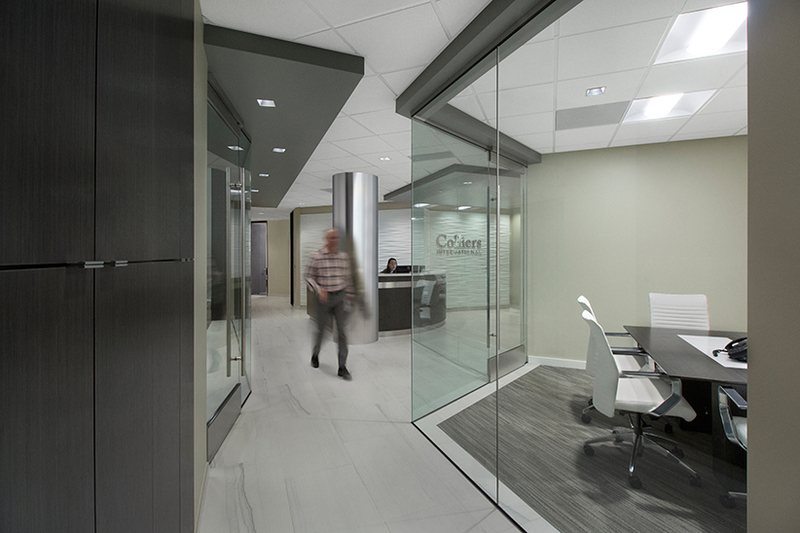 The RBA team specified and detailed an array of premium contemporary finish materials including 3Form Profile dimensional wall cladding, Móz Metal, and Porcelain Stone plank flooring.